Robin Velghe is an illustrative designer and animator that has worked with some of the biggest names in the music and art industry. Hailing from Ghent, Belgium, Velghe made a name for himself as a full-time freelancer and animator on various projects, but his passion for drawing started at a young age. Velghe went on to study visual communication at LUCA School of Arts in Belgium which opened new connections and gave him the ability to work creatively at an internship. “I started to realize that this could actually become my job later on,” he said “I learned a lot about working in the creative field at my internship. Having the ability to work creatively in an office showed Velghe that his passion could turn into something lucrative. Rhymezlikedimez focuses on the power of music and the ability it has to connect people and explore culture. It is Velghe’s personal ode to hip hop that has not only gained the attention of art and animation fanatics, but major record labels like Atlantic Records. He has worked with prominent names in the music industry like MTV, Anderson .Paak, Knxwledge, Lil Uzi, Sheck Wes, Amine, and many more. When browsing @rhymezlikedimez on Instagram, viewers will immediately observe his signature style, nostalgic colors, and vivid characters providing nothing but good vibes. His style brings hip hop back to its roots by blessing hit songs with dreamy backdrops. Anything can spark a creative mind, but Velghe finds most of his inspiration through music, movies, and other creative talent. In a crowded industry it is important to stand out, and Velghe is receiving the recognition he deserves from fans and other artists for his incredible work rooted in his love for hip hop. 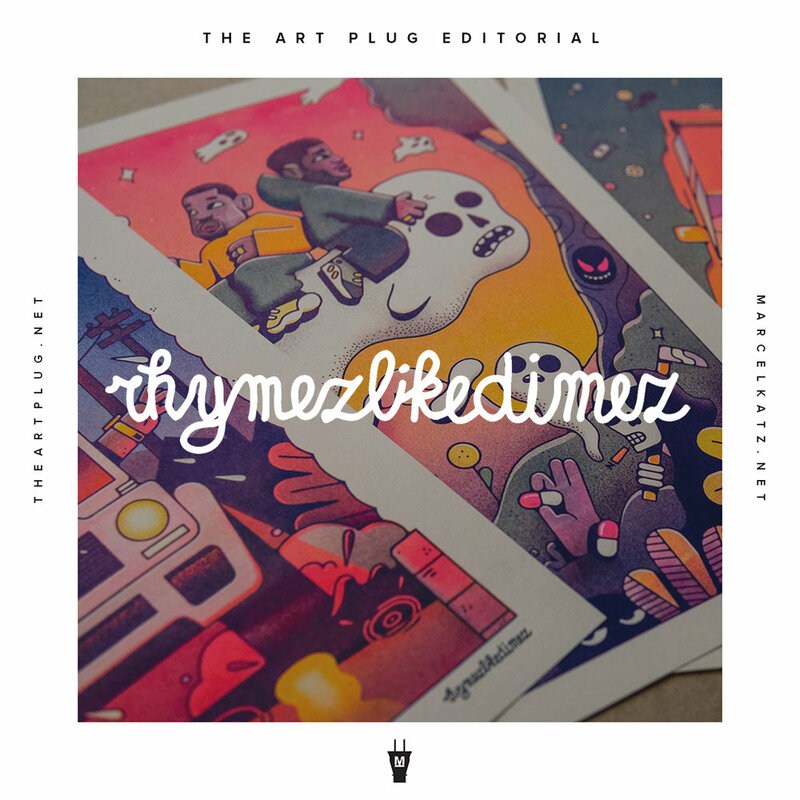 The Art Plug Powerhouse during Miami Art Week will feature a live recreation of one of Rhymezlikedimez’s signature animations along with t-shirt screen printing with the artist. What are some of your biggest inspirations? I like to keep a pretty big range of inspirational sources. I’ve always been inspired by visual artists like Edward Hopper, Piet Parra, and a lot of designers. Music has always been a major inspiration. A lot of artists have a way to create pictures without showing anything visual. I draw a lot of inspiration from that place. I’m also inspired by artists like Pharrell, Kanye West, and Tyler The Creator because they’re a lot more than just musicians. They create clothing, direct videos, etc., It’s not the medium that matters, it’s the way it is presented. I love movies and their ability to create a world; the work of the Coen brothers, Wes Anderson, David Lynch; movies like Lords of Dogtown, American Beauty. Of course cartoon shows from when I was young. I would say nostalgia is a big inspiration and the way people romanticize the past. I like to show life through rose-tinted glasses. Do you hope to convey a specific message with your art? I’m not really trying to convey a specific message. I’m more interested in showing a powerful image that represents a certain atmosphere. If anything, I’m trying to spread some positive vibes. For me, it’s the same thing for movies and music. I’m often more interested in the production, melody or global sound of a song rather than just the lyrics. I enjoy movies that are more about a mood/feeling, rather than movies that are built around a plot. I love working with colors and shapes and creating nice compositions. I’m always trying to create a world that evokes feeling and memories. What are some of your own favorite pieces or collaborations? The biggest project I’ve worked on was the music video for NxWorries (Anderson .Paak and Knxwledge). I’m pretty proud about that one. I always dreamt of creating a music video, because that’s where visuals and music collide. The fact that I got to work for two of my favorite music artists was insane. I also love doing my Rhymezlikedimez pieces. I like the Frank Ocean one because it’s so simple, but yet a lot of people seem to resonate with it. I’m hoping to keep expanding the Rhymezlikedimez project. I want to create videos and art that make people feel the same way like I feel when watching my favorite music videos and movies. I’d love to do some clothing and other fun stuff in the future. I really hope to work on visuals for at least one of my most favorite music artists. I recently did an official MTV-ident which will air soon. That was an honor because I used to see all those MTV-logo clips when watching music videos when I was a kid. 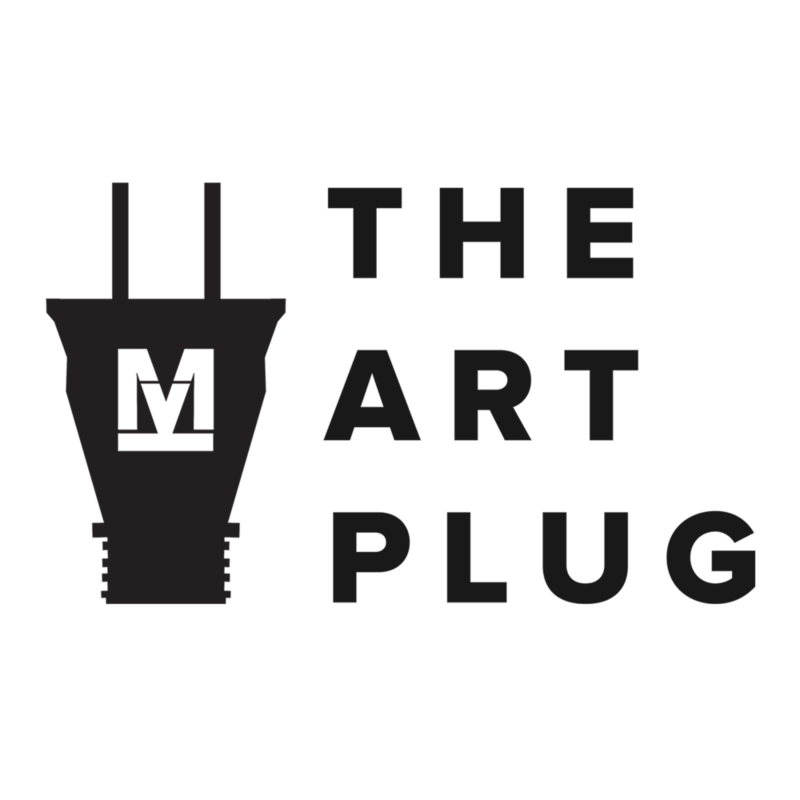 I’m going to do my first expo at Monsieur Marcel’s show in Miami during Art Basel. I’m really excited about that. These limited edition prints will be available for purchase on monsieurmarcel.net on Black Friday (Nov. 23) at 1pm EST / 10am PST / 7pm CET.